2018 Bentley Continental GT revealed: the world’s most luxurious GT car? 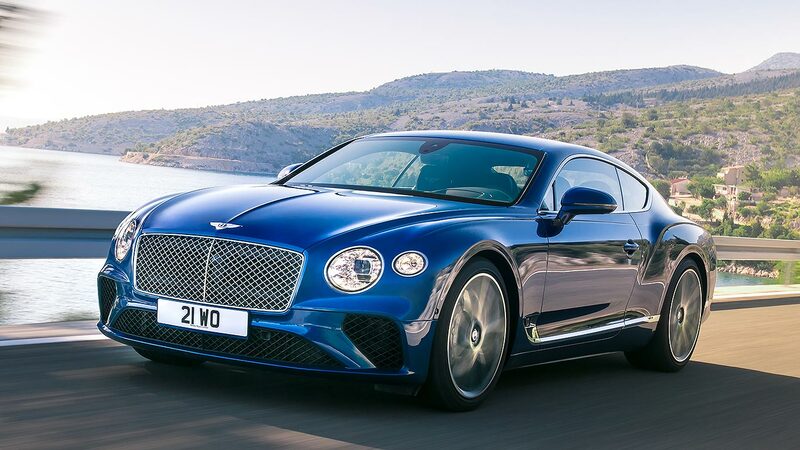 The new Bentley Continental GT is here at last – and boy, has Bentley been busy. 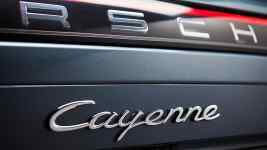 Designed, engineered and built (sorry, ‘handcrafted’) here in Britain, the new model boasts a fully adaptive chassis using 48-volt Dynamic Ride System, an all-new 6.0-litre W12 TSI engine with 635hp, a new eight-speed dual-clutch gearbox, cutting-edge Super Formed body tech and, above all, a deliciously indulgent interior. 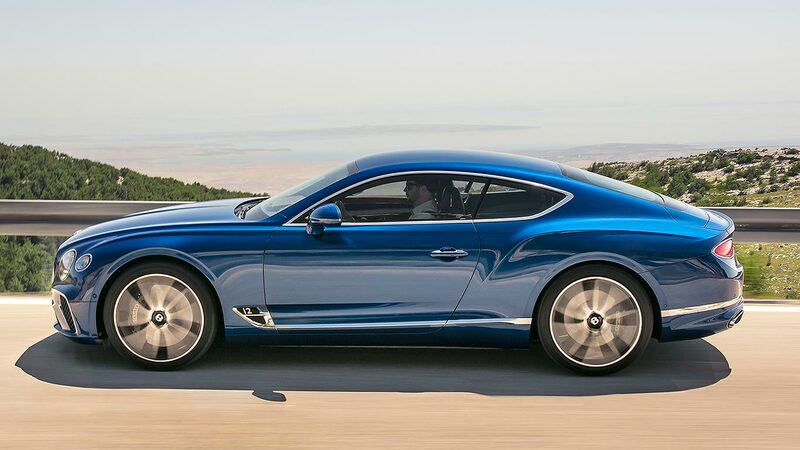 The new Continental GT will make its world debut at the 2017 Frankfurt Motor Show next month, where Bentley chairman and chief executive Wolfgang Durheimer will showcase what he says is “the pinnacle of our design and engineering achievements. 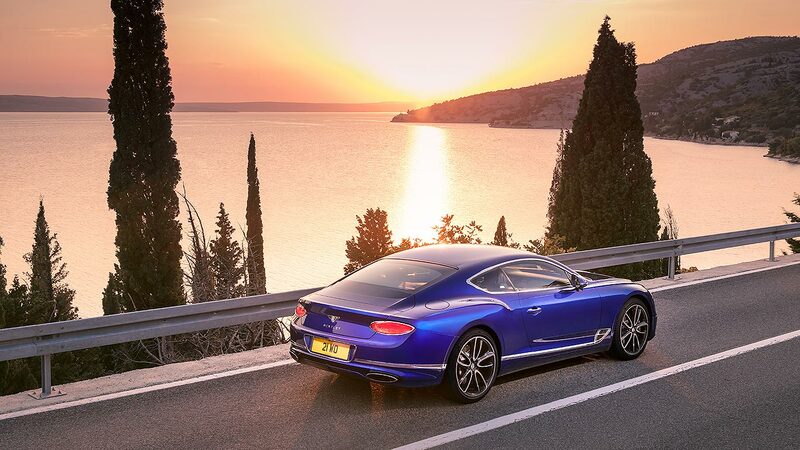 “We are the world leader in luxury mobility… the new Continental GT encapsulates our desire to innovate as well as celebrate our heritage and take the Bentley ownership experience to the next, unparalleled level.” Be in no doubt, the firm is heralding this as the definitive luxury GT car. It has four more spacious seats and a bigger boot for “genuine real-world usability”, while “unrivalled” attention to detail delivers a properly posh cabin that’s “tailored specifically to the modern luxury customer”. And there’s no better showcase of this than the Bentley Rotating Display. 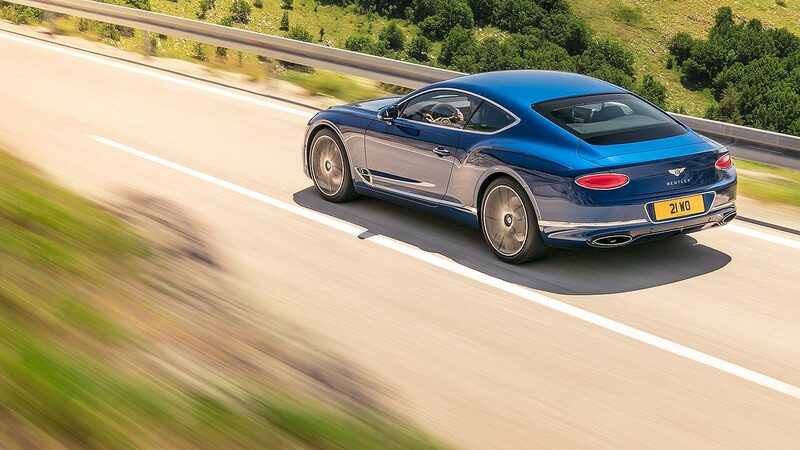 The new Continental GT is a clear evolution of today’s model, but one given more of a contemporary reinterpretation than we perhaps expected (more than you’d get between generations of Porsche 911, for example). It’s clearly still the familiar Bentley luxo-GT so many know and love but, the more you look, the more you realise how much it’s been modernised and optimised. The front wheels are 135mm further forward, allowing Bentley to stretch the bonnet and lower the nose. It’s thus different in profile to the original, but still decidedly Conti GT: just follow the power line from the twin round headlights right across to the tight, muscular rear haunch for evidence of that. Bentley’s also seriously proud of the new car’s LED Matrix headlights. All the internals are transparent, like “the finest cut-crystal glasses… with sharply defined edges that catch the light like a diamond”. It makes them look, says Bentley, like an illuminated gem: there’s even a welcome sequence that gently illuminates the headlights as you approach (although oddly, it’s a cost-option…). Colours? Choose from 17, which apparently leads the luxury GT class for choice, and there’s another 15-colour portfolio for interior leather and carpets. What’s more, a number of launch cars will be offered in a further, limited, range of colours – but if you’re rich enough, a fully bespoke colour matching service is also offered. The new Continental GT interior is, basically, going to make jaws drop, the firm says (it phrases it slightly differently, but you get the idea). The wood alone should do this: sporting dual veneers for the first time, there’s more than 10 square metres of wood inside each Continental GT, the assembly and fitting of which takes fully nine hours. There are luxurious surfaces everywhere, with blinding attention to detail. Bentley uses pillow knurling for some switches and controls, for example: it’s softer and more refined than classic mechanical knurling. And diamond knurling delivers a luxurious feel to other surfaces: choose these new finishes on the vents, bezels and other controls. Bentley even now fits bronze inserts between surfaces on some controls: a “hidden delight,” it says. Seats set new industry standards for comfort, it says, and can be clad in ‘diamond in diamond’ quilt. All the glass is laminated so their occupants enjoy an interior nine decibels quieter than before. Just the job to show off audio systems that, even as standard, comprise a 1,500-watt Bang & Olufsen setup. Pay to upgrade, and you can have a 2,200-watt Naim system. Bentley is the world’s biggest producer of 12-cylinder engines. The new W12 TSI’s “benchmark” performance combines 635hp with 664lb ft of torque, for 0-62mph in 3.7 seconds and a top speed of 207mph. It’s greener than before, with Bentley Variable Displacement tech shutting down half the engine under light loads, and it’s even smoother than before thanks to a slick dual-mass flywheel. 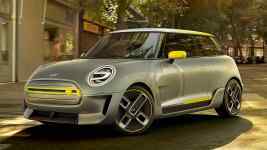 Should sir want to show off its accelerative talents, Sport Launch mode serves up split-second-perfect dashes at the press of a button (and the gentlemanly stomp of an accelerator pedal). The old fixed-split all-wheel-drive system is upgraded to Active All-Wheel Drive, with fully variable torque splits that nevertheless uses rear-wheel drive as much as possible, both for efficiency and dynamics. The 48-volt suspension tech provides the electrical firepower to stop the new GT rolling through corners without spoiling its straight road air sprung comfort. Passengers are cushioned from excessive movement, says Bentley, but the driver also senses plenty of effortless precision. Moving the engine further back in the chassis also improves weight distribution and dynamics. Bentley fits 21-inch wheels as standard, 22-inches as an option, and the front brakes are now even bigger still: their diameter is a staggering 420mm. That’s 16.5 inches! https://www.motoringresearch.com/wp-content/uploads/2017/08/2018_Bentley_Continental_GT_01.jpg 768 1366 Richard Aucock https://www.motoringresearch.com/wp-content/uploads/2018/12/mr-top-motoring.svg Richard Aucock2017-08-29 20:45:132017-08-30 10:49:342018 Bentley Continental GT revealed: the world's most luxurious GT car?